Election 2018 is in full swing -- and now is the time to start figuring out how you're going to vote! Our Fall 2018 "Policy and a Pints" will focus on California's General Election ballot. We're holding discussions with panelists who, whether they are "for, " against" or "neutral," will give us the straight talk on local/statewide propositions and races, and what it means if you vote yay or nay on each. * * * * * Of the 11 propositions on the ballot this year, four of them are focused on housing. 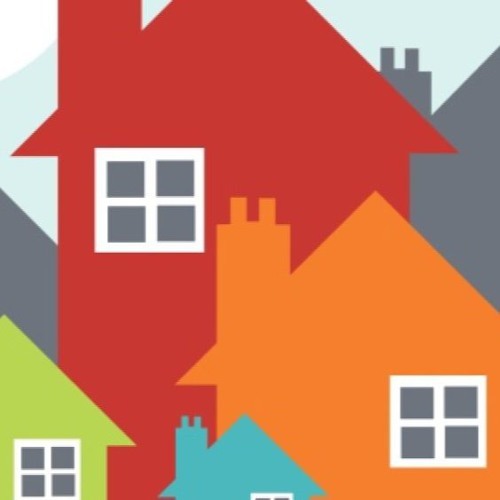 In this podcast, we're taking a look at Proposition 5, about preserving lower property taxes for Californians age 55 and older who sell their home. It's the first proposition to propose changes to Proposition 13, "the third rail of politics," which California voters passed 40 years ago. PANELISTS * Dorothy Johnson, legislative representative for the California State Association of Counties * David Tanner, CEO of the Sacramento Association of Realtors PODCAST PLAY-BY-PLAY * O to 4:30 min - Intro to California Groundbreakers, and to Proposition 5 * 4:30 min - Panelists introduce themselves, and tell us about their "dream home" in California * 7 min - Proposition 5 is a lot about the (in)famous Proposition 13 - what did that cover and why was it a big deal? * 10:25 min - How Proposition 13 has affected city/county budgets and services * 12 min - Proposition 5: how it would work, who it would benefit -- and who would be hit * 17 min - If Proposition 5 passed, how would it affect the housing market? * 21 min - And how would city budgets, school districts and California services be affected if it passed? * 23 min - Will it only be affluent homeowners who benefit? Why are there no caps on ages or income levels for homeowners who sell? * 30:10 min - There were three versions of Proposition 5 floating around at one time - how did this version get on the ballot? * 31:25 min - What the term "split roll" means, and why we may see another proposition about it on the 2020 ballot * 35:35 min - How would renters be affected if Proposition 5 passes? * 38:25 min - Panelists list the pros and cons of Proposition 5 passing/not passing * 44:35 min - What does the California Association of Realtors, the group that put this on the ballot, get financially if Proposition 5? * 46 min - Do counties get the power to set the rates they charge on the tax base? * 46:45 min - Panelists give their legislative "wish list:" An ideal housing-focused ballot initiative or policy change that would really make a difference * 51: 35 min - Will a new governor and legislative session in 2019 make a difference on solutions to the housing crisis?